Nowadays, whenever there is an Olympic event, video game producers, Nintendo and Sega are sure to release another instalment in the Mario & Sonic at the Olympic Games series. This is all well and good until we get to the next one due for release: Mario & Sonic and the Olympic Winter Games Sochi 2014. Why is this an issue, you ask? Well, the laws in Russia are shockingly anti-LGBT and they’re not afraid to hide it. Many don’t believe it is right for the Olympics to be held there, as it can be seen as a passive form of approval of their discrimination. By extension, people don’t think that Nintendo should promote this game, because they would also be approving the discrimination by not acting against it. But, on top of that, having these loveable characters okay with this kind of hatred is completely incompatible with what we already know about them. A good example would be to take one of the most loved Mario characters: Yoshi. Yoshi would be thrown into prison under Russia’s laws due to the fact that he is happily in a relationship with Birdo… Who is a transgender woman. But that’s not all. Mario himself should feel quite guilty taking part in these games. Sure, Birdo was originally a villainous servant of the evil tyrant Wart, so he may not be too bothered about her going to prison. But what about Mario’s old pal Vivian? Vivian is another transgender female who, actually, was a villain at first as well, but she eventually saw the error of her ways and stood by Mario when nobody else would and basically saved his life. Surely he’d feel at least the tiniest pang of guilt, knowing she’d be arrested if she wanted to join him at the Olympics? To take the idea of love only being moral between one man and one woman would actually mean that several more of our heroes would also be thrown behind bars. 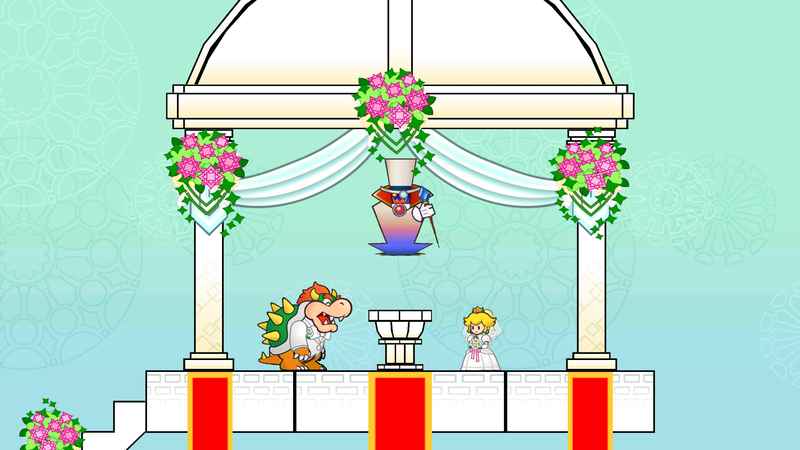 Sonic once shared a romance with a human being, and Bowser and Peach… Well, they get married in one of the games, and I don’t remember it being annulled. It’s Adam and ‘Eve’ not ‘Animal Eve’ after all. Finally, it just feels so wrong for these heroic characters to stand by and let this evil happen. For many young people just discovering their sexuality, video games could be one of their escapes when things become too stressful. To have Mario and Sonic happily running around and having fun, while innocent people are beaten and murdered on the streets just a few miles away would be a permanent smear on their characters. This entry was posted in All, Best Entries, Video Games. Bookmark the permalink.